I registered my company through Shelf Company Warehouse and they took care of all the paperwork. 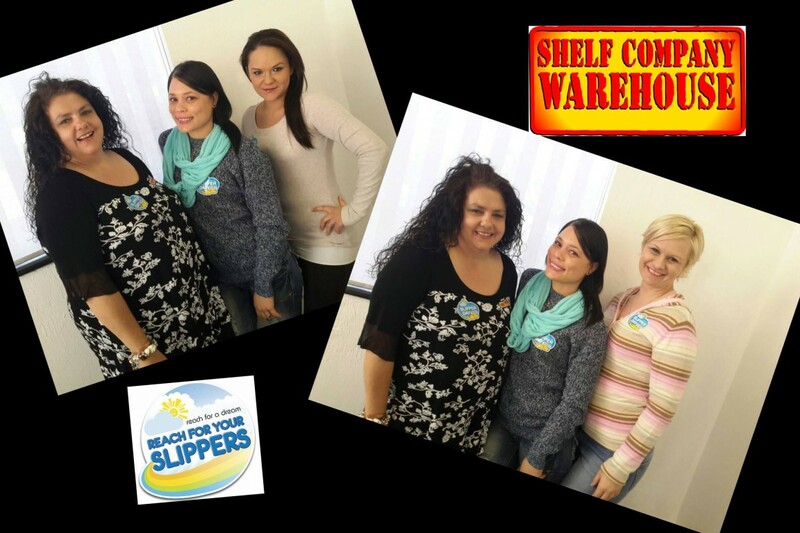 I am very impressed at the service I received and When i need to register another company - I will be back there. In recognition of a long-standing business relationship, Think Local would like to kick start reviews for this business. 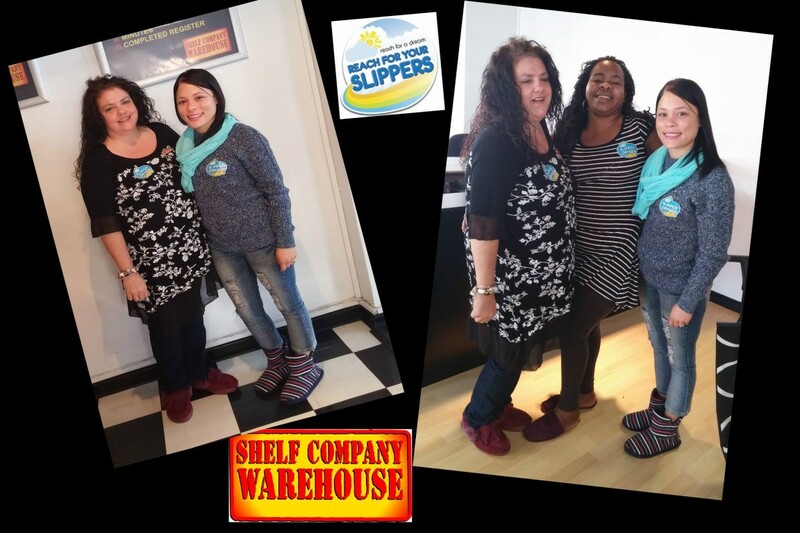 In the years we have dealt with Shelf Company Warehouse and his team, we have found this business to operate with a high level of integrity and friendly disposition. This is rare and worthy of praise in an economy that keeps most businesses under stress. Thank you most sincerely for your support, and we hope the community comes forward with many more positive messages. 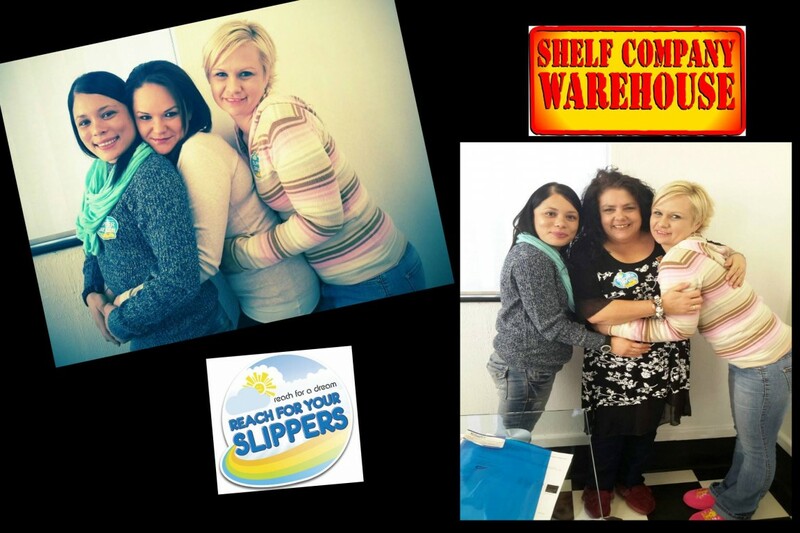 In business since 1997, Shelf Company Warehouse registers by far the most companies and close corporations in South Africa, with 12 branches country wide. We have been rated the top CIPRO and CIPC agent every year since 1998 and are the preferred service provider for leading South African banks, public companies, attorneys, auditors, accounting professionals and members of the public. Our directors and associates are qualified attorneys, auditors, master tax practitioners and legal advisors. 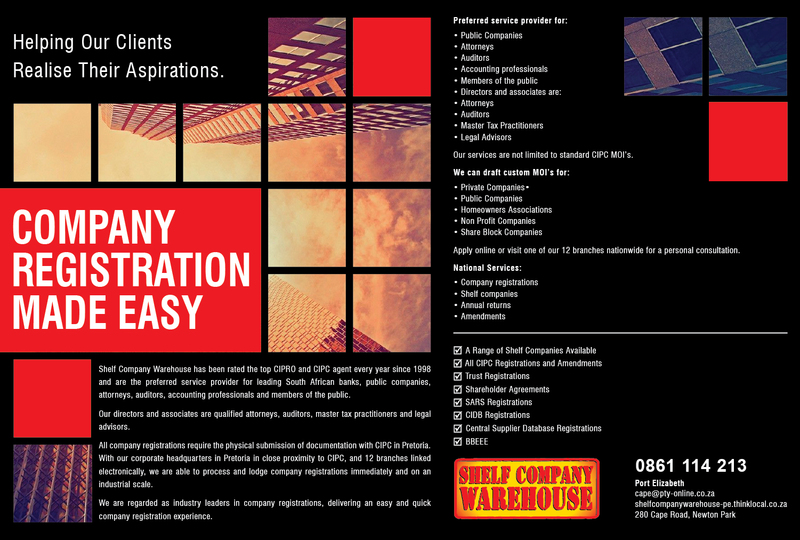 All company registrations require the physical submission of documentation with CIPC in Pretoria. With our corporate headquarters in Pretoria in close proximity to CIPC, and 12 branches linked electronically, we are able to process and lodge company registrations immediately and on an industrial scale. We offer a level of expertise unrivalled in our field. 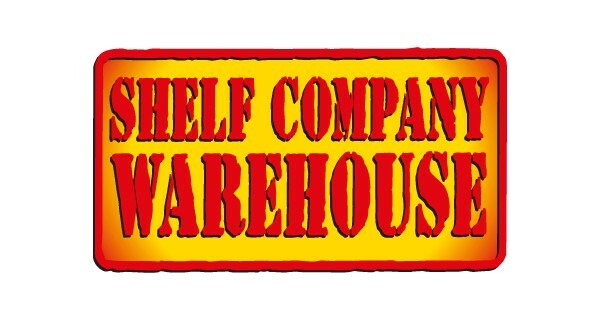 What is a shelf company/CC? 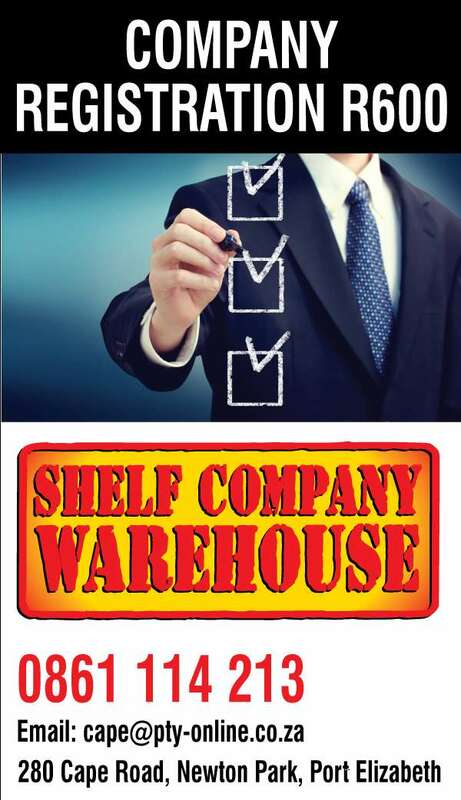 A shelf company or close corporation is a business entity that was pre-registered. These companies/close corporations have no assets or liabilities and have never conducted business. These companies/close corporations were registered with the sole purpose of being sold. We supply all shelf companies/close corporations with a guarantee of having no assets or liabilities and never having conducted business. 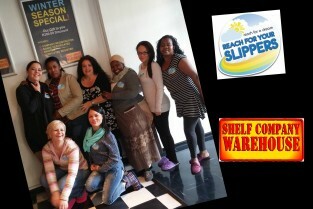 A shelf company is the fastest way of getting a business up and running. We can appoint the new directors within a day, enabling you to open a bank account and to start trading almost immediately. 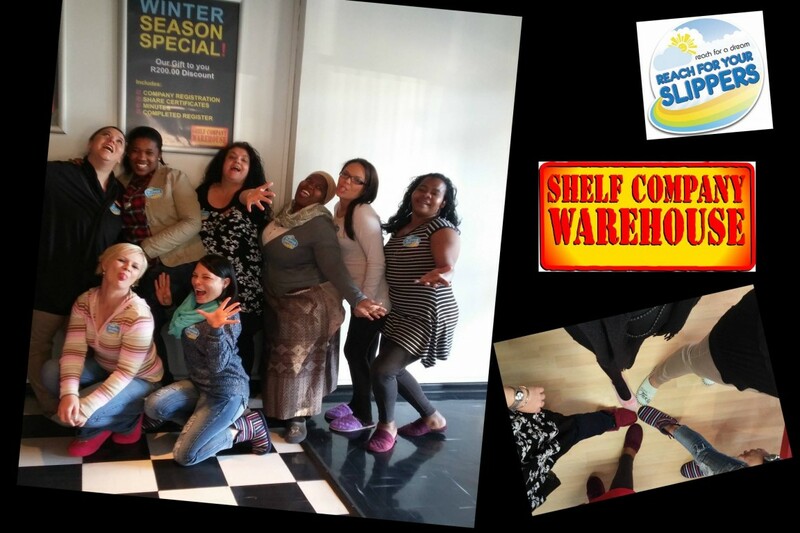 Due to a backlog at CIPRO, there is currently a delay with the appointment of new members of a shelf CC. So, if you only need a name and number immediately, a shelf CC is a viable option. However, if you need to open a bank account urgently, we suggest that we rather register a new close corporation for you. This process currently takes less than a week by making use of one of our pre-approved CC names, and can even be expedited, if necessary. 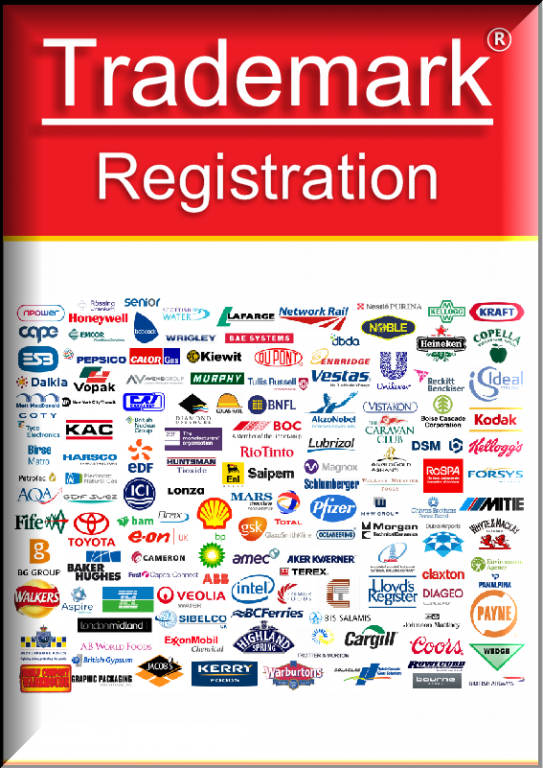 We are regarded as industry leaders in company registrations, delivering an easy and quick company registration experience. We offer our customers a level of expertise unrivaled in our field. Our fee is not calculated according to number of directors/shareholders. We issue Minutes of First Meeting plus Share Certificates with all our company registrations, free of charge. Rated top CIPRO and CIPC agent each and every year since 1998. More than 600,000 new company and Close Corporation registrations in last 20 years. CIPC will confirm that we register by far the most companies in South Africa. 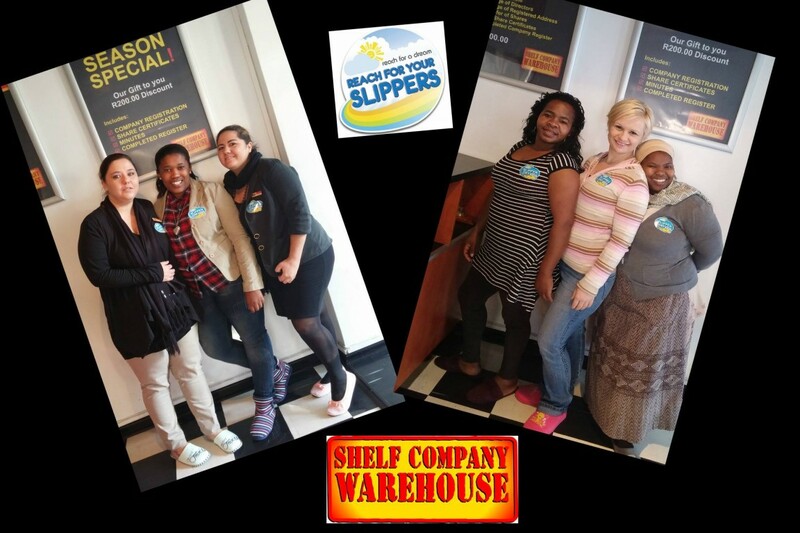 Shelf Company Warehouse has 12 branches and 87 staff members.  Used exclusively by SA’s largest online bank. We offer a level of expertise unrivaled in our field. Unlike our competition, our services are therefore not limited to standard CIPC MOI’s. Apply online or visit one of our 12 branches nationwide for a personal consultation. Two Pretoria staff members permanently at CIPC to monitor all our registrations.